Used 2018 RAM 3500 4WD Crew Cab 169" Laramie for Sale in Evans CO 80620 Fresh Rides Inc. 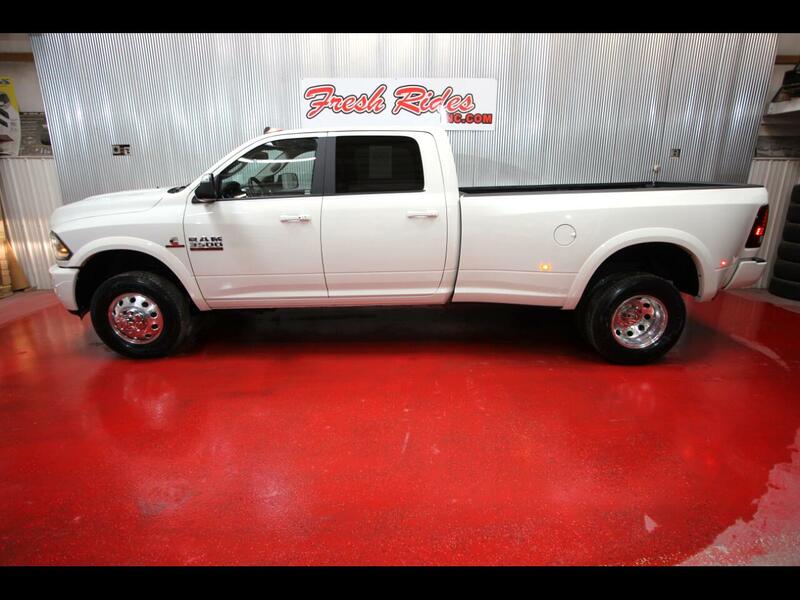 CHECK OUT THIS 2018 RAM 3500 LARMIE CREW CAB!! ONE OWNER CARFAX!! 2018 Ram 3500 Crew Cab 4WD, 6.7L Cummins Diesel, Automatic Transmission, Leather Interior, Cruise, Tilt, Power Windows/Locks and Mirrors, AM/FM Stereo w/ Satellite Radio, Bluetooth, Exhaust Brake, Electric Brake Controller, Hands Free Wireless, ONLY 1,007 Miles!! Come in to Fresh Rides today, this truck won't last long. Be sure to ask about our FRESH START GUARANTEED CREDIT APPROVAL PROGRAM W.A.D! We understand your time is Valuable. We will do our best to offer a quick, and painless buying experience.